Origin Hypericum is inherent to Europe, North Africa, West Asia, Azores and Madeira. The oil is obtained by extracting leaves, flowers and stems of Hypericum Perforatum also known as St. John’s wort, Common Hypericum, Perforate St John’s-wort, Common Saint John’s wort, Amber, Klamath Weed, Goatweed and Tipton Weed. The oil is thin in consistency and is pale yellow in color with fruity and spicy aroma. It is extracted by using steam distillation process. This oil is used for manufacturing shampoos, skin care products and bath products. Hypericum is inherent to Europe, North Africa, West Asia, Azores and Madeira. It has been naturalized in Australia and North America. St. John’s Wort was used in 500 B.C. by ancient Romans and Greeks for treating skin wounds, depression and sciatica. 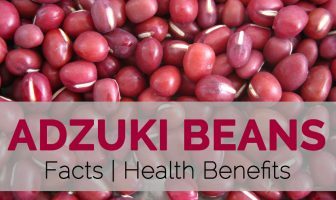 It is also used for curing gastrointestinal issues, menstrual issues and snake bites. It is used to ward off an evil spirits as well. The mixture of jojoba oil and Hypericum oil helps to treat the pain caused due to hemorrhoids. This oil has hypericin and flavonoids that helps to lower itching and burning sensation to alleviate inflammation. It could be added to lotions, skin care creams and directly applied to the affected area of internal and external hemorrhoids. It could also be added to warm bathing water. This oil helps to alleviate the pain caused due to arthritis and rheumatism. It could be blended with coconut oil to lower pain and inflammation caused due to rheumatism. Hypericum oil possess analgesic, anti-inflammatory and antiseptic properties that helps to treat bruises, muscular pains, sores, bruises, tennis elbow, sprains, stiff achy joints, nervous afflictions, burns and varicose veins. It also treats incusion pain caused after surgery. It could be used as massage oil or added to lotions and skin creams to speed up the healing process. 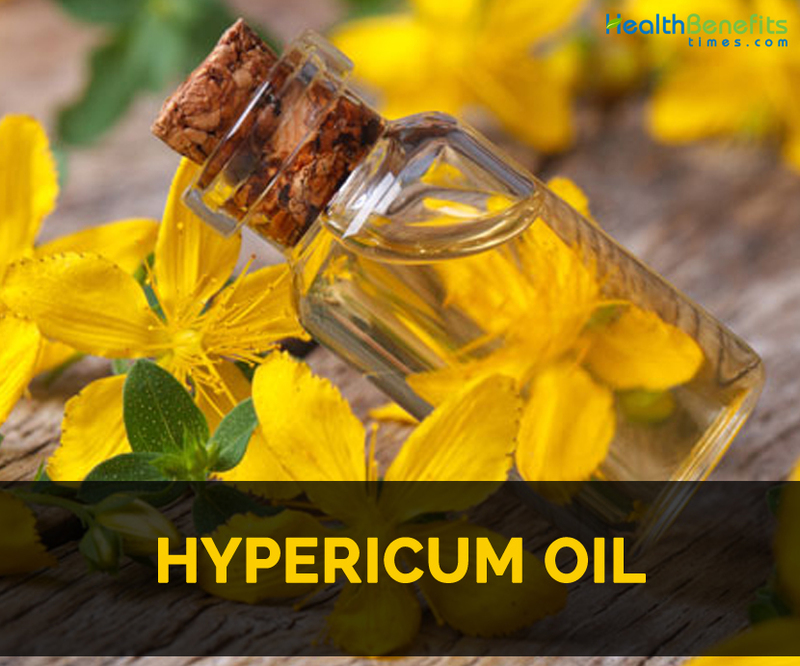 Hypericum oil has antibacterial and astringent properties that helps to eliminate foreign bodies and microbes that could cause skin infections and worsen the wounds. It could be applied topically or used as a tincture for speed up the healing process. Hypericum oil helps to treat physical pain as well as emotional disturbances caused due to premenstrual syndrome such as nausea, cramps, breast tenderness, mood fluctuations and anxiety during menopause. Massage with the mixture of sesame oil and Hypericum oil to provide a great relief. Add two drops to the warm bathing water to feel refreshment. It is used as a treatment for sciatica, muscle pain and skin issues. It is also used for burns, skin inflammations, skin ulcers, scrapes, sores, cuts and skin irruptions. It could be used topically or added to bath and inhaled directly. It calms down the inflamed skin. It also heals the damaged skin, relieves pain and heal bruise. It helps to treat nerve related pain such as arthritis, sciatica and fibromyalgia. It is used to cure minor wounds. Rub Hypericum oil on forehead to treat insomnia. It is an aid for strains, aches and bruises. It is used with garlic, mullein and calendula to treat ear ache. It helps to promote circulation and lower inflammation caused due to varicose veins. It is used to treat bee sting by making a paste of bentonite clay and oil. Due to its anti-inflammatory properties, it provides relief from stinging and burning related with hemorrhoids. Pregnant women should not use this oil. Use it internally under the supervision of health practitioner. Do not use it on eyes and sensitive areas of the body. It might cause dermatitis and photo sensitivity to sun. Not to be used excessively. Native Hypericum is inherent to Europe, North Africa, West Asia, Azores and Madeira. It has been naturalized in Australia and North America. St. John’s Wort was used in 500 B.C. by ancient Romans and Greeks for treating skin wounds, depression and sciatica.